Telemystery, your source for one of the most comprehensive selections of detective, amateur sleuth, private investigator, and suspense television mystery series, mini-series and made-for-television movies, now available on or coming soon to DVD or Blu-ray disc, is profiling three series being released this week. He's got an eye for details and a knack for saying the wrong thing ... but fortunately "psychic" private investigator Shawn Spencer (James Roday) and his best friend Burton "Gus" Guster (Dulé Hill) are there to make sense of it all in Psyche. With his uptight father (Corbin Bernsen) now in charge of the Santa Barbara Police Department's consultants, Shawn must now work extra hard to land new investigation gigs for him and Gus. This season finds the duo searching for a kidnap victim, probing an alien abduction and infiltrating a street-racing gang. 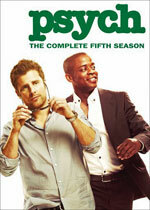 The Psych: Season Five DVD set of 4 discs comprise the 16 episodes that aired on USA Network from July through September and November through December, 2010. Psych returns for a 6th season this Fall. Serve. Protect. Don't Screw Up. At the police academy they trained, fought and partied together. Now they're on the job together in Rookie Blue. Dangerous pursuits. Fierce shootouts. Scandalous hook-ups. As first responders, they're learning the toughest kind of policing there is, never know what to expect. These five rookies are ready to brave anything ... it's only their personal lives that need back-up. 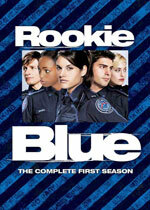 The Rookie Blue: Season One DVD set of 4 discs comprise the 13 episodes that aired on ABC from June through September, 2010. The second season of Rookie Blue premieres on June 23rd, 2011 at 10 PM (ET/PT). In Bon Temps, everyone has something to hide. But when new threats emerge, no one can conceal the secrets of their past in True Blood, based on characters created by Charlaine Harris in her Southern Vampire series of mysteries. After Sookie discovers Bill was kidnapped, she heads to Mississippi, where she becomes entangled in a world ruled by werewolves and a powerful Vampire King. Eric is also drawn to the King’s domain to settle an old score; Jason falls for a mysterious woman; Lafayette can’t avoid love or demons; and Sam uncovers the truth about his birth family. It all leads up to the revelation of the series … Sookie’s true identity. The True Blood: Season Three DVD set of 5 discs comprise the 12 episodes that aired on HBO from June through September, 2010. 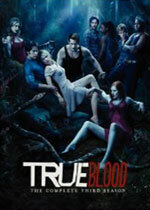 True Blood returns for a 4th season on June 26th, 2011. Visit the Telemystery website to discover more television mystery series currently available on and coming soon to DVD and Blu-ray disc.